STAFIX®STATIC is an innovative communication material and ideal for short-term applications, as in the case of our promotions. The fact that it can be easily installed anywhere and removed without residues has been highly valued by our customers. Heineken is not only known for good beer but also for entertaining and innovative advertisement. Now the popular beer brand is also using STAFIX®STATIC as part of their Marketing-Mix. 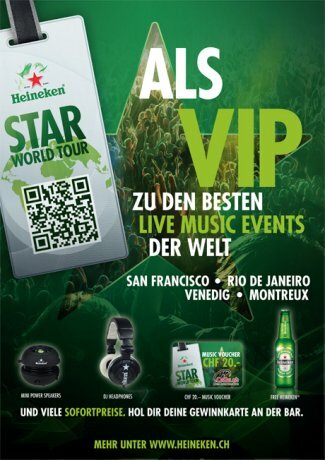 Most recently Heineken Switzerland was using STAFIX®STATIC for its “Star World Tour”, where international and national festival tickets as well as numerous instant prizes were raffled. 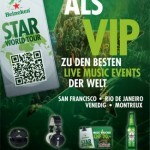 The “Star World Tour” promotion had been activated nationwide in Switzerland. Every advertising package that was given to the gastronomy included raffle tickets, several instant prizes as well as POS-Material. Besides traditional advertising material the “Star World Tour” POS-Package also included some A3 posters printed on STAFIX®STATIC. 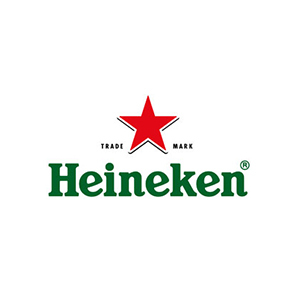 In order to raise the likelihood of the posters being displayed at the POS, Heineken decided to switch from traditional paper posters to STAFIX®STATIC posters. Thus the pub owners were able to install the posters anywhere without having to worry about residues or damaging the surfaces.